Legrand’s range of modular electrical equipment and wiring accessories includes flush-mounting distribution cabinets which ensure optimum efficiency, enhanced aesthetics and absolute safety in living areas and workplaces. 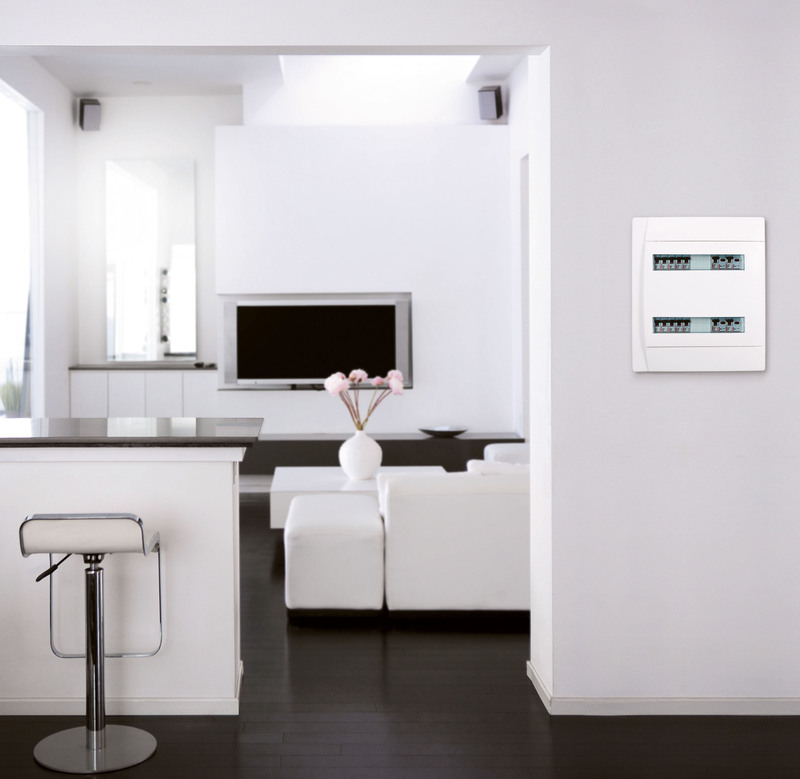 These stylish Practibox flush-mounting distribution cabinets have a modern white finish and clear windows. The distribution cabinets conform with IEC 439-3 standards, and are IK 07 and Class II rated. The units have an IP 40 index protection rating, with the door fitted as a guard against solid bodies larger than 1 mm. The range includes terminal shield boxes with one row of six, eight or twelve modules and units with two or three rows of twelve modules. Flush-mounting masonry boxes with integrated slots provide easy wiring and safe installation. For convenience, terminal blocks can be installed at the top, bottom, on the sides, or between the rails and directly on the box. Recessed grooves facilitate easy attachment of the cabinet faceplate to the flush-mounting box. A reversible faceplate enables the door to be opened from the left or right, offering maximum flexibility.